Lifestyle Baby Session - Big Bob! I was lucky to meet this amazing Mama ages ago when we worked together in the Bridal Industry. Then, she got married and I got the honor of being her Wedding Photographer and when she started a family, I got to take photos of her sweet Baby Boy #1. Now I got to see their family grow and capture photos of Baby Boy #2! It is such an honor to follow the journey of so many families and be part of their stories and memories. 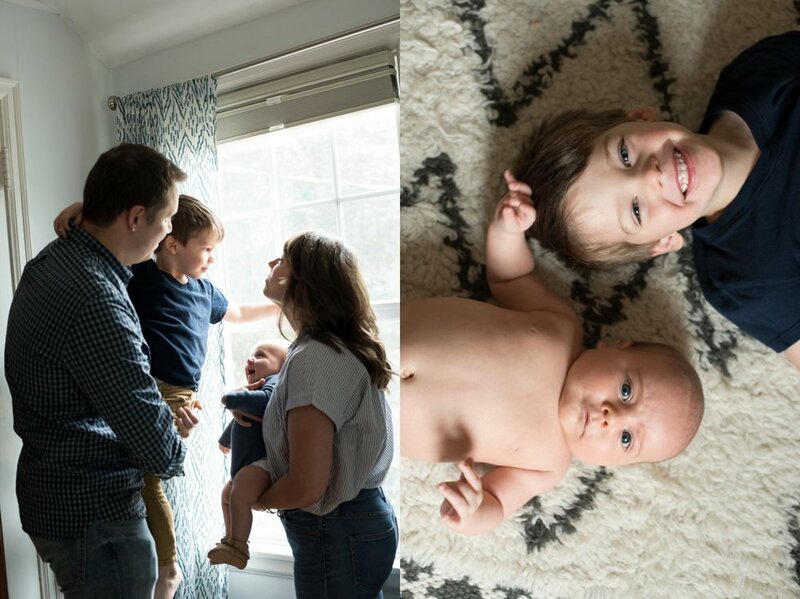 This session took place in the comfort of their home which is one of the best places to capture the new joys of babyhood. Here are some highlights of my session with Baby Big Bob! Such a sweet squishy big little guy!